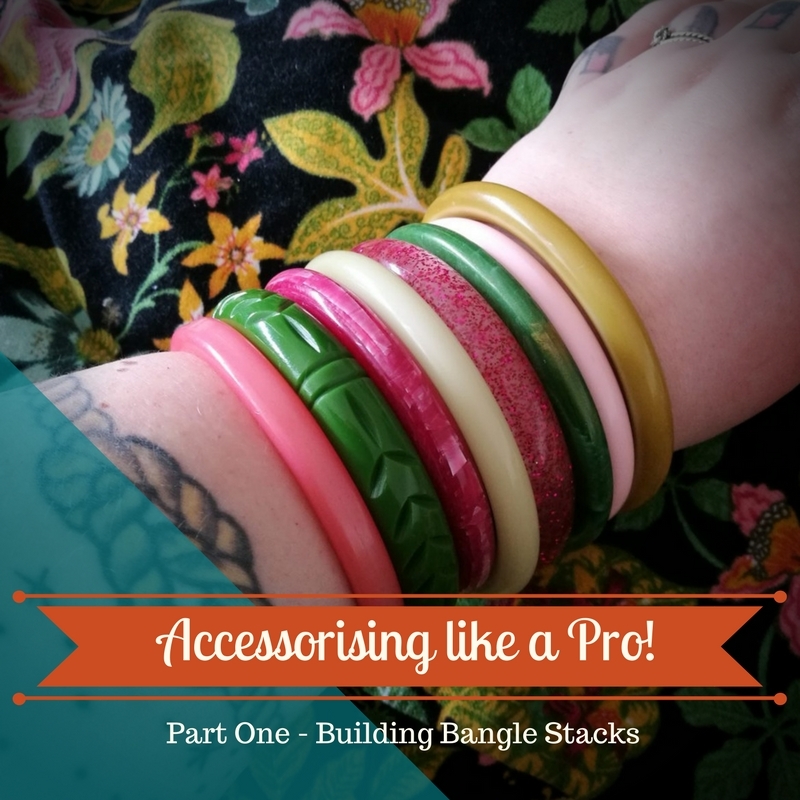 Accessorising like a Pro – Bangle Edition! 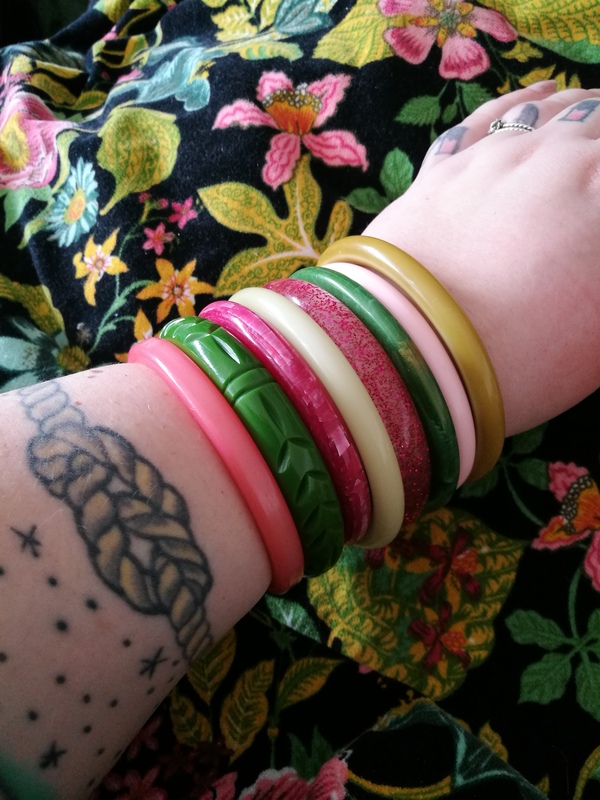 This post is all about bangles – how to mix and match, what makes an excellent bangle stack, and how many is too many (spoiler – there’s no such thing!) so hopefully it’ll spark a few combos you hadn’t thought about in your own collection! 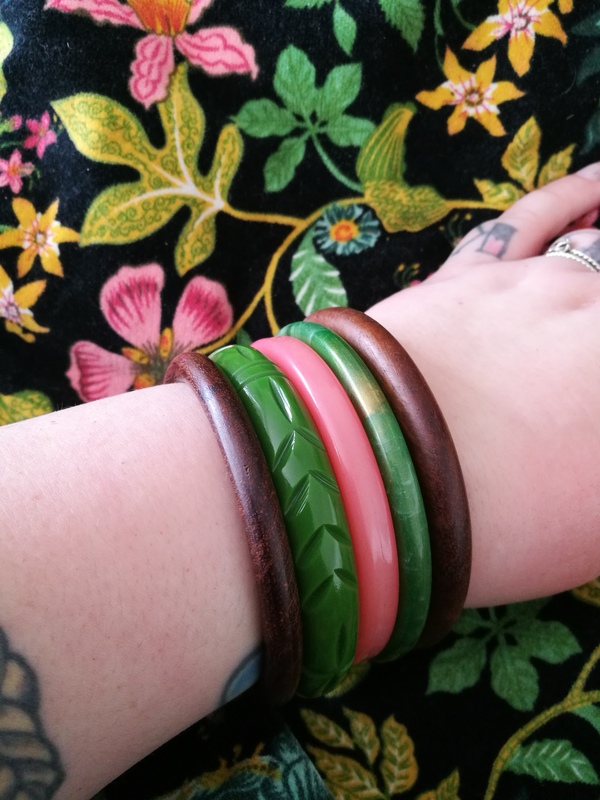 As far as I’m concerned, bangles are an excellent way of dressing up an outfit – you can pick any of the colours out of whatever you’re wearing, and tie components together with ease. 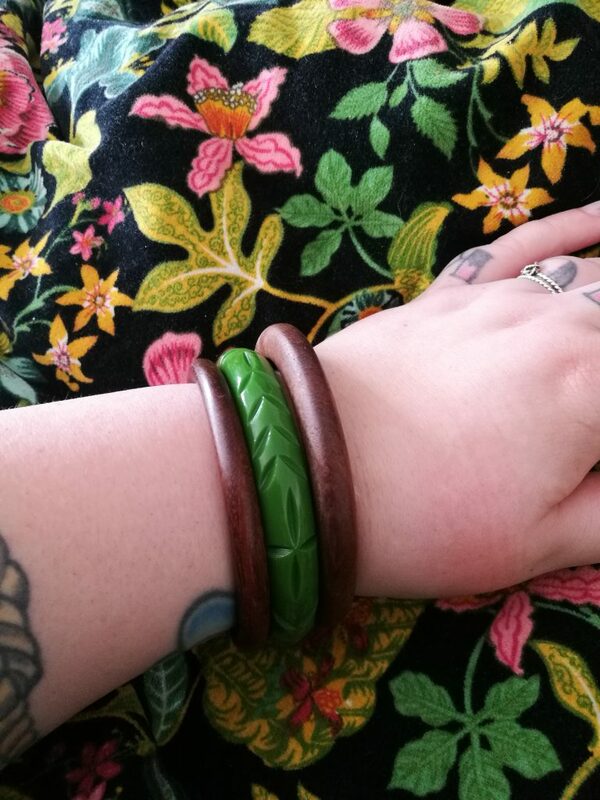 It’s also a good way of amping up the colours and textures in an outfit, or building on a theme – with tropical outfits try bamboo bangles, or try dark wooden bangles with leathers and rich natural fabrics. Start with either one wide bangle in a dominant colour in the print you’re wearing, or three narrower bangles – two in a neutral colour, and one in the dominant colour. You want to complement what you’re wearing, so consider using the dominant colour in all the rest of your jewellery and accessories too – Belt, earrings, necklace, whatever. If you’re feeling a little braver, you can wear your bangles as more of a focal point of your outfit. Subtlety be dammned! You want to wear as many bangles as you can fit on your arms at any given time, in as many colours as you have on at once, so go nuts! To keep it cohesive, try and spread out like colours and vary textures and widths to create an enviable bangle stack that looks equal parts curated and haphazard! Remember – your style is your business. I’m not here to tell you that what you’re already doing is wrong, I’m just giving you some ideas for how to get the most out of your accessory collection! Have fun, try new things, and be brave! FRANTASTIC! hahaha – best combo ever!